Happy New Year Messages for Best Friend: Do you have a best friend you need to appreciate for their effort in your life this past year and also wish them a happy new year? 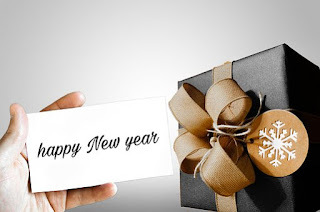 We have the right Happy new year messages for best friend, new year wishes messages, short new year wishes for friends. 1. Through the years we’ve shared so much together, both good and bad, bitter and sweet, you’ve been such a sweet person to me, you bring comfort to my soul helping me in so many ways, I want to use this season to let you know that I treasure you close my heart and I wish you only the best this new year! 2. Dear best friend it’s another new year and I want to thank you for always being there for me, for being a firm believer in me, for understanding what I meant even when I was quiet, for patiently bearing with all my excesses my wish for you this new year is that you be filled with laughter and cheers just like you fill up my heart. Happy New year! 3. I feel so lucky to have you as a friend, you’ve been my side to share my thoughts over the years, wipe my tears and nurse my wound, may you be blessed with all the love, warmth and care in this upcoming year. Happy New year my friend! 4. I’m sending the best wishes to you my friend, for an amazing new year, I’ve seen you improve throughout the past year keep it up in the new year, may you have many blessings in the upcoming new year! 5. It’s the end of another year that was filled with sweet memories and joyous times, I’m ending this year with happiness because I found the most precious gift in my life, even though you’re not near to I’m wishing you the very best this new year and I hope you have a fascinating new year! 6. Looking back at all the wonderful memories we’ve had, thank you for all the fun and embarrassing memories we had, I wish you more faith, courage and hope in the next year, thanks for always being there, let’s make next year even more awesome. Happy New year best friend! 7. It’s with great pleasure I wish you a happy New year, thanks for always supporting me, caring for me and making me happy in the past years, you tolerated all my bad jokes and witnessed my pitfalls, as you enter this new year let’s appreciate the love we share and make it even stronger! 8. These past years have seen us sharing almost everything, the joy that comes with sharing tirelessly and giving can only be experienced by friends and in this coming year I want to share more with you, my wish to you this season is to have a very happy and prosperous New year! 9. Happy New year, forget the sorrows of the past year and any form of unpleasantness, focus on the new year because there are great things in store for you, may you live to be prosperous and promising in life. Happy New year to you my dearest friend! 10. Friend, I wish you sheer happiness this New year, the journey has been long, you’ve struggled to achieve your goals and may this year see you making all your set objectives and dreams come true. Have a wonderful and lucky new year dear! 11. Like bread goes perfect with butter, my new year will be imperfect without you, I hope you be with me on this new year and forever with love happy New year friend! 12. At the very beginning of the year, I’ll like to express my gratitude for the unconditional love you’ve given to me since we met, you’ve been great at sharing and caring, on this new year I pray you to receive the love you’ve selflessly given to others in double fold. Have a prosperous New year dear friend! 13. My wish for you this new year is that the happiest moments of this year remain with you forever, may the year be filled with happiness, success and peace, I wish you have a rocking year ahead spent with friends and loved ones, have a prosperous new year ahead friend! 14. In this new year may the angels protect you, troubles neglect you and everything work together for your favor, may God grant you a style to convert your dreams into reality, I wish you nothing but happiness in this new year. have a fantastic New year friend! 15. I’m grateful for your true friendship, hope this is just the beginning of the year full of love and happiness, may this just be the beginning of the year filled with love and happy memories. Happy New year! 16. Friends are always close to the heart, I’m glad we’re friends, wishing you a year of joy and friendship, instead of saying I hope you have many great things in life to come, I’d like to like to say that I know have many great things to come in life, have a great new year! 17. May the moments of this new year become fond memories of future, may this year be the best if your life, until the next one. May the year bring to you all the things that make you smile. I hope you have a meaningful fulfilled year dear friend! 18. My biggest new year wish for you is to stay the way you are! Don’t ever change, today is not just the end of another year but the beginning of a new one. Whatever your dreams might be whether big or small may they all be fulfilled in this new year. Happy New year dear friend! 19. My wish for you this new year is that you find peace during difficult days, discover sunshine when there are dark clouds and have the courage to smile when sadness overwhelms you. Happy New year to you my dear friend. 20. Hey friend! Thank you for putting up with my moods and crazy moves, you’re family to me, you’re my everything, my life is so much brighter because I have you, I pray that our bond grows stronger and nothing ever changes between us unless it’s for the better. Have a wonderful new year! 21. You’ve been such an amazing friend, you have the biggest heart, a pure soul, you deserve all the wonderful things you have right now, I know we’ll grow old together and our kids will also be a best friend. you don’t know how much my life has changed because of you. I hope you have the happiest new year ever! 22. I’m so glad that we met, you’re the only one who knows how to lift my spirits whenever I’m feeling low, a special friend like you deserves all the wonderful blessings not only in this new year but in years to come. I hope you know how much I love you and how grateful I am that you are part of my life. Happy new year dear! 23. It’s a new year and I’m so lucky to be gifted with an amazing friend like you, I wish you all the wonderful things in life and may this year bring you an extra dose of love and happiness. Happiest new year to the best friend in the world! 24. Happy new year to my truest and best friend, I wish that all your wishes come true and hope this year will give you lots of wonderful surprises. Thank you for being such a constant in my life, I love you forever! 25. My new year wishes for you, I hope you never stop enjoying the little things in life because that’s what makes life worth living, I hope you take time to enjoy the present while working for a better future, you’re simply the best never doubt that. Have an amazing new year friend! 26. There are friends and then There are best friends, through thick and thin you’ve always been there for me, just know that I’ll be there for you when you need me, I want to let you know that you’ll never have to face your problem alone, when I look back at the years and all the things we’ve been through, I’m so grateful that I got to go through everything with you by my side. Happy new year to my best friend! 27. Hey friend! It’s a new year, I want to let you know that you’ll never have to walk the world alone, as long as I breathe you’ll always be my best friend, as long as I have a couch you’ll have a couch to crash on, no matter what happens you’ll have a place in my heart. I hope this new year is filled with awesomeness. Happy New year sweetie! 28. Best friends are like presents you’re always happy to see them, when I first met you I had no idea you’ll you’ll be this important to me, you’re not just my best friend you’re family, on this new year I just want to let you know how amazing you are, every life you touch you make better. I don’t know what I’ll do without a great friend like you in my life. May this new year be amazing as you are! Happy New year bestie!! 29. To my best friend I wish you all the happiness in the world, thank you for putting up with my craziness all these years, thanks for all the happy moments and I hope this coming year will be filled with many more happy moments, happy new year friend! 30. Happy New year to my best friend, time can change a lot but it will never change how much I care for you, thanks for accepting me for who I am and always encouraging me to be the person I should be. Thanks for being weird with me, you’re just the best! 31. Hey! I don’t care about having lots of friends, I care about having great friends like you because it’s not the number of friends that matter it’s the quality of them, thank you for being the best of the best, in this new year I wish you nothing but the best. Happy New year my friend! 32. It’s great having a lot of friends, but life wouldn’t be same without having a best friend to share everything with, you make the most boring activity fun, you make the most serious scenario hilarious. I’m so lucky to have you as a best friend, this new year my wish for you is that you never stop loving life, I pray that happiness and joy surround you not only in this coming year but years after. Happy New year weirdo! 33. Happy new year to my amazing and cool friend, thanks for being you, you’re one of a kind, charming, loving and selfless. The year flies by there are so many things we’ve done And seen, time seems to slip away but the best times are times I spent with you. You’ve been wonderful and I couldn’t have asked for a better friend. Keep being awesome! 34. You’ve been there in the good and bad times, through the sun and the storms, friends like you make bad times tolerable and good times better, it’s so wonderful having such a friend to grow older with and the older we get the better we be, may this new year usher you into the beginning of a new phase of peace and happiness, I hope all your wish come true. Happy New year sweetie! 35. My dearest friend, when I’m with you I have fun than when I’m with anyone, you make life worth living, you bring out the best part of me, even when we do nothing together I still have a wonderful time which is lovely, happy New year to the best friend ever! 36. It’s new year! I’d have loved to say let’s go out have fun and act like idiots but that’s what we always do, in this new year I just want to remind you that I’m always her for you if you need me, happy new year to the greatest friend ever! 37. You’ll get lots of new year messages today but who wishes you the happiest if the new year wishes? That’s me! 38. Hey friend, sometimes you need to be reminded of how great you are, and the best time to do that is on a New year. happy New year to my awesome best friend! 39. This past year has been pretty amazing with you in my life. My wishes for the new year is to be far better than the one we are leaving. I want you to know that I appreciate your presence in my life. 40. I am wishing you a wonderful new year, my dear friend. I have known you to be one awesome person and I am sure that this coming year will smile at us. Happy new year. 41. You have been a good source of inspiration to me these past months. You are a friend worthy of appreciation. I want you to know that I cherish you always. Happy new year, my friend. 42. Happy new month best friend, life has never made this sense compared to when you weren’t in my life. As I count my blessing, I wish you double of what you wish yourself. Have the best of next year. 43. I wish happiness always shine on you because you have always been there for me just when I need you. Despite my shortcomings, you have always loved me as a friend should. Happy new year best friend. 44. You are my best friend. The precious gift that I have ever gotten from friendship. It is my pleasure to have known someone like you. I am sure that this new year will surely smile on our friendship. 45. With you as my best friend, I am ending this year on a happy note. Sometimes I wonder how it would look like without you in my life. I love you always my friend. I wish you a fantastic new year. 46. Being your friend shows that the wishes I made last year came true. I am making another wish this year. I wish for unlimited blessing as you dance into this new year. I say amen to all your secret wishes and prayers. 47. I pray on this first day of the year that the good Lord wash you with the warmth of his never-ending love so that you will find favor in all you do. Let’s hope for the best in this brand new year. Happy new year. 48. I want you to know that you don’t need to drown in worries because I know that this new year has a lot in store for us. Just focus on creating memories that will never leave the heart for a long time to come. Happy new year, my irreplaceable best friend. 49. Nothing happens to you without affecting me, so I wish you the best in all you do because you have been the best of the best to me. You have supported me no matter how dumb my idea sounds. You are a friend like no other. Happy new year, dear. 50. I want you to know that I love you always. I want you to know that there is none like you. I want you to know that if there is an award category for a best friend in the grammy, you will win it without breaking a sweat. Happy new year, bestie. I wish you the best always.